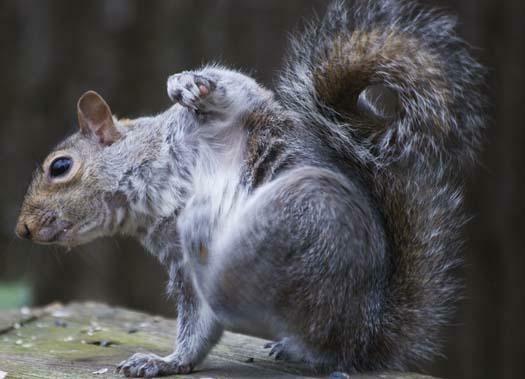 We have bird feeders behind our house that attract (surprise, surprise) Eastern Gray Squirrels during the day. Here one stops between mouthfuls to scratch at an incredible speed. 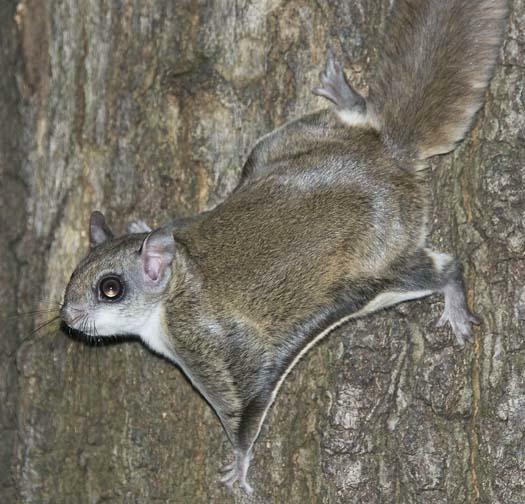 What may be a real surprise is that after the sun goes down and the Gray Squirrels bed down for the night, Southern Flying Squirrels visit the same feeders. They are quick and very difficult to photograph in action, but I caught one last night as he prepared to leap from the tree to the feeder. I’ll work on photgraphing one flying and will post it as soon as I succeed.